This is our LOST & FOUND page. All items listed have been reported as LOST or FOUND, and we would like to assist in getting them back to their rightful owners. If you would like to submit an entry to this page, or claim an item from this page, please let us know via the FEEDBACK link. Please be as descriptive as possible in describing items. If you've found something, let us know what it is, where it was found, and exactly what it looks like. We hope that this page is helpful to our members. 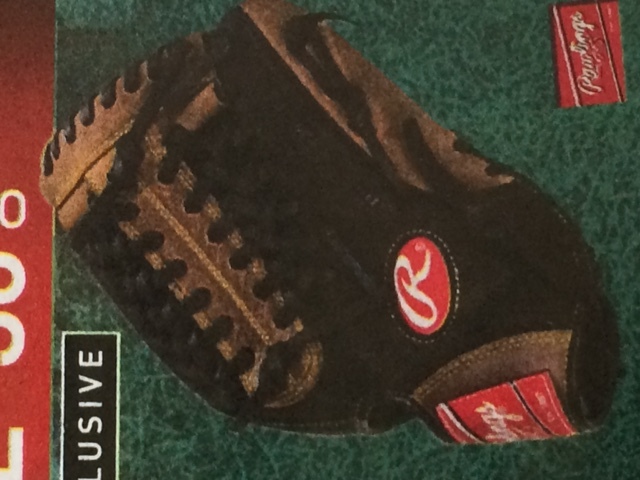 On Friday, April 29, 2016 at the Wilhelm field immediately following the 5:30 to 6:30 game, one of the coaches lost a new black and brown size 12 Rawlings glove (pictured below) near the bleachers by the home team dugout or near the concession stand. If found please contact the league via the FEEDBACK link or return to the concession stands.